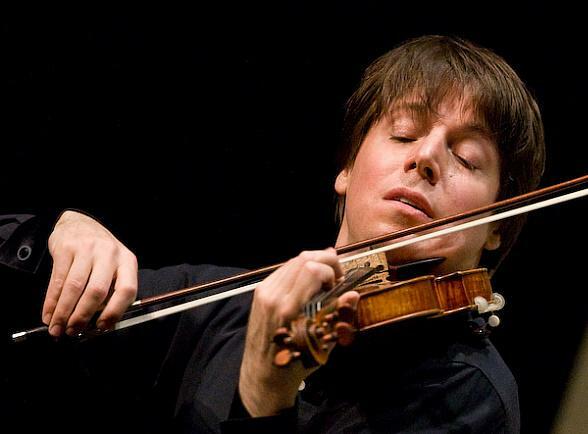 Joshua Bell has attempted to balance the dual careers of concert violinist and crossover celebrity, including a series of recordings of film music and questionable collaborations with pop stars. For his recital at the Broward Center on Monday night, however, Bell presented an admirably serious program of violin sonatas by Bach, Grieg, Schumann and Ravel. A violinist of formidable technical gifts since his teenage years, Bell has specialized in the romantic repertoire. In the Baroque cadences of J.S. Bach’s Sonata No.4 in C minor, the violinist’s approach was the antithesis of the period-instrument movement. Bell offered big-boned romantic Bach, replete with liberal rubato and intense fervor. Like Leopold Stokowski’s flamboyant orchestrations of Bach’s organ works, Bell’s ardent interpretation was often compelling. The Adagio was imbued with the songful aura of an opera aria while Bell’s gutsy reinvention of the two Allegro movements was enlivening, never succumbing to the pedantic monotony of old school Bach style. Pianist Jeremy Denk offered rhythmically vital, exquisitely tailored support. Bell and Denk raised Grieg’s Violin Sonata No. 3 in C minor to the grandeur of Brahms and Schumann. The synthesis of stormy passions and lyrical repose was traced with hypnotic momentum, the piano line boldly projected. In the captivating Norwegian folk dances of the finale, the artists displayed fiery bravado, Bell assaying the double stops with daredevil ease. Schumann’s Violin Sonata No.1 in A minor is an intimate portrait of the composer’s inner demons. Bell and Denk turned up the voltage level in the score’s unhinged outer movements. The aristocratically shaped Allegretto was imbued with lightness and charm, a glint of humanity amidst the hard-driving fantasia. Bell’s intonation remained true even in Schumann’s treacherous passages for the violin’s highest reaches. Ravel’s 1927 Sonata runs the gamut from impressionist visions to reflections of the Jazz Age. The alternately languid and playful élan of the opening movement was vividly etched and Bell conjured up the jazzy slide style of Stephane Grappelli in the Blues movement vignette. The Perpetual Mobile finale was played with accuracy and incendiary verve at top speed, a demonstration of technical aplomb and riveting musicality.